Dwell by Cheryl: "Fiending for a Juju"
Dwell by Cheryl TV Debut (Video)! Homearama Recap (and an announcement)! 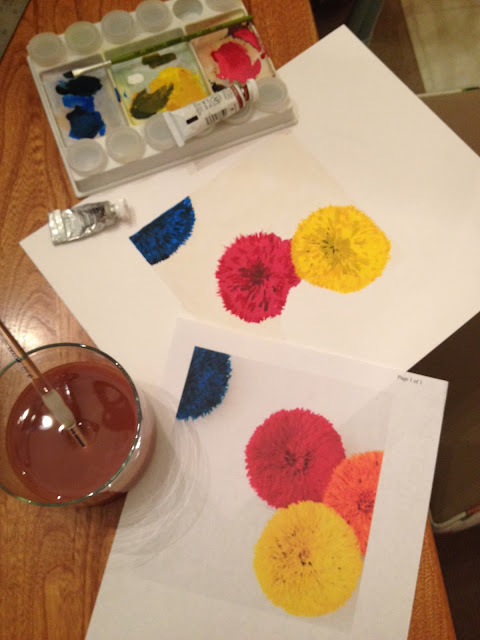 A recent Color Theory homework assignment has me fiending for a Juju. What's a Juju? So glad you asked. 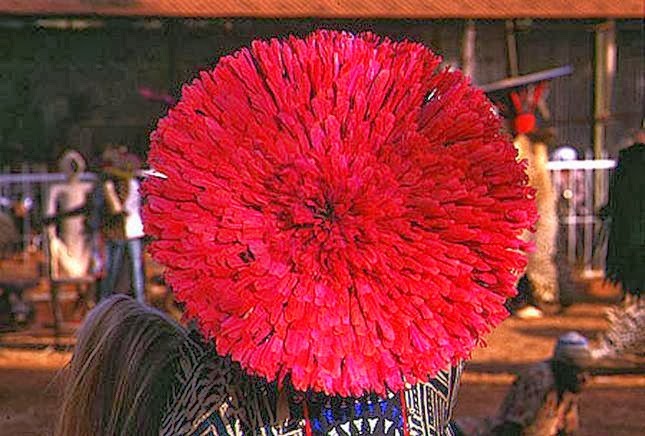 The Juju hat is also called a Bamileke headdress or Tsa Ntang Disc from the West African nation of Cameroon. 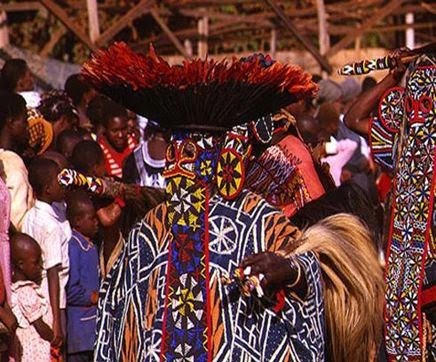 The Bamileke culture is a culture known for their elaborate celebrations. Royal dancers wear this headdress during ceremonies that celebrate the prestige of the kingdom. 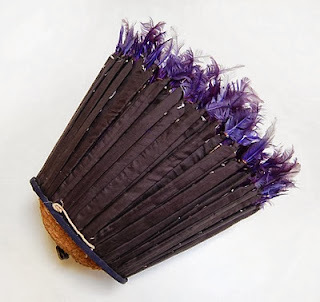 In the power and status category, this feathered "hat" from Cameroon boasts striking plumage dyed in vibrant colors. These headpieces traditionally made from parrot feathers, however they are now more commonly crafted using dyed chicken feathers. The construction of the headdress is extremely intricate and several individuals work to complete one headdress, which can take several days to complete. The design is such that the headdress is made to collapse inward for easy storage or transport. The Bamileke headdress or Juju hat as it is commonly referred to in the US, has recently become a very popular trend in the interior design community. The hats are positioned on a wall; above a bed, armoire, mantel or elsewhere as a high-impact piece often providing a pop of color. Their soft feathers instantly provide texture to an otherwise flat wall surface and easily add visual interest. Contemporary Bedroom by Houston Interior Designers & Decorators Laura U, Inc.
...proving the fact that they are pretty darn versatile. Since the plan is to go white in my home office, I'm now dying to have a Juju of my own. What do you think of the Juju? Love all the bright colors! Candice Olson loves the Juju too!